Is there a football shirt more famous than that of FC Barcelona? The iconic red and blue stripes create the most recognisable football kit on the planet, with fans from Asia, South America and Europe displaying the team’s colours in full force. With players such as Diego Maradona, Rivaldo and Lionel Messi having donned the colours of the Blaugrana, it’s not hard to see how the design has become so famous. But this year it’s not all about the home strip at the Nou Camp (or indeed, all about Neymar’s shock departure to Paris Saint Germain), as Nike have gone ahead and unveiled an absolutely gorgeous camo-inspired third kit. Unless you’ve been living under a rock for the past couple of weeks, you’ll probably already be fully aware of the “camo collection” released by Nike earlier this month, where some of the biggest clubs in the world were given their own unique camo design. 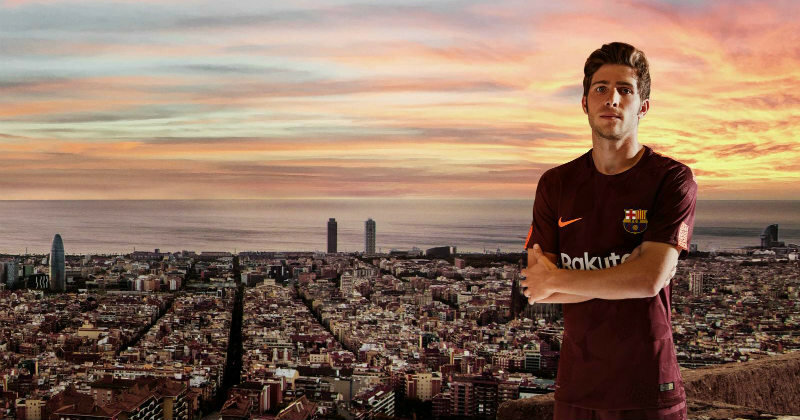 Well, as far as clubs go, it just doesn’t get much bigger than Barcelona, so it’s no surprise that the Catalan-club’s third kit has proven to be so popular. But instead of just sitting here talking to you about it, we managed to get our hands on one so that we could give you a closer look. Although it might have been created as part of Nike’s camo collection, it’s fair to say that none of the others are anything like the Barcelona design. While clubs such as Manchester City, Inter Milan and Chelsea have been given dark, subdued strips to wear on their travels, Messi and co. will be sporting an eye-catching shade of maroon. 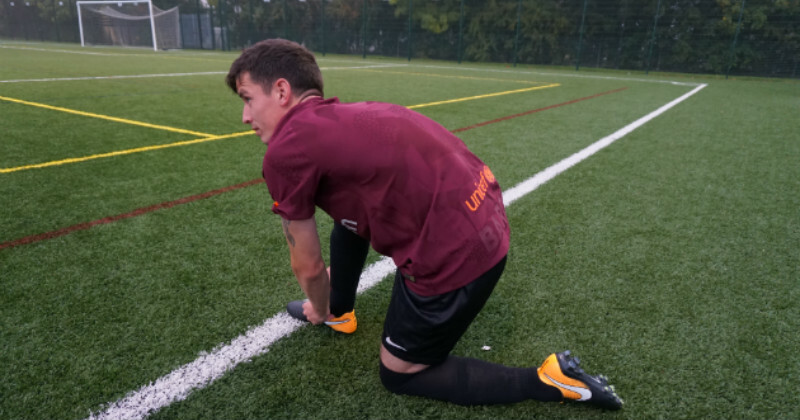 The audacious maroon and orange colourway combines to create a football kit that we can’t wait to see in action on the European stage, with the bold choice of colours almost as adventurous as Barca’s famous attacking style of play. Despite the recent injury to big-money transfer Ousmane Dembele, Barca still have one of the most potent attacking forces in the game- so it’s only fitting that Nike have provided a kit to stand out from the crowd. 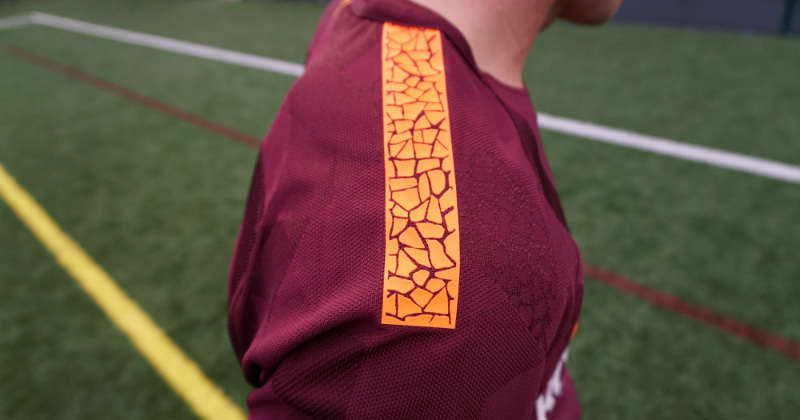 If you look closely enough, you can just make out a subtle camo design running throughout the new shirt, with slightly darker shades of maroon interspersed throughout and beautiful mosaic patterns on the arms. 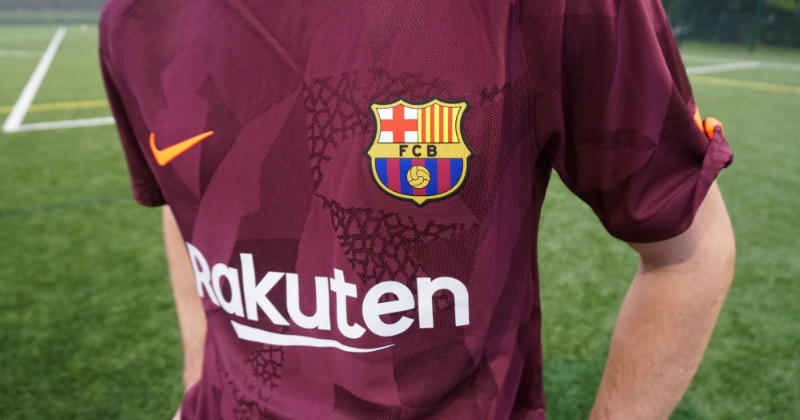 The geometrical print allows the Catalans to display their pride for the city of Barcelona, a fact which is reinforced by the word “Barca” being proudly displayed on the back of the shirt. 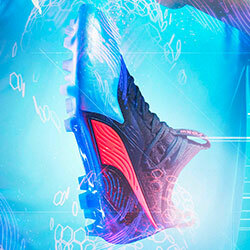 After all- there will only ever be one FC Barcelona, and Nike have made that perfectly clear in their design. 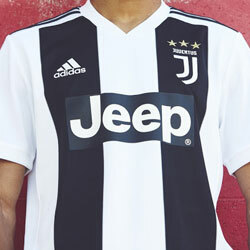 But it’s not all about just looking good on the football pitch, because the new design utilises the updated Nike Vapor template and includes some of the very latest technology used in football shirts today. Inciting confidence and encouraging flamboyance, this Barcelona third kit is certainly a good fit for the players they have at their disposal. The Nike camo kits are all available now, and you can get your hands on one of these Blaugrana beauties right here with FOOTY.COM today. 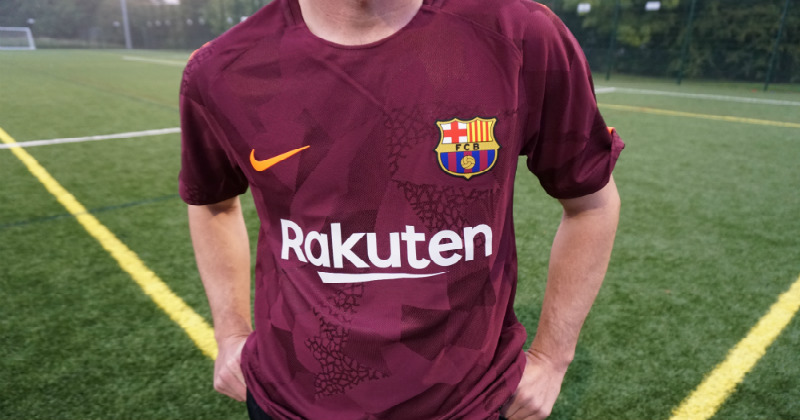 This design is set to make its debut for Barca tonight in the Champions League, as they take on Sporting Lisbon in the second phase of group stage matches. 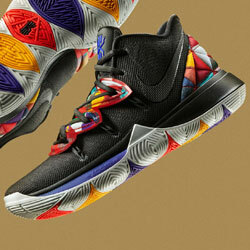 So what do you reckon? Are you opting for the iconic Blaugrana stripes this year, or are you tempted by the unique third kit? Let us know in the comments! 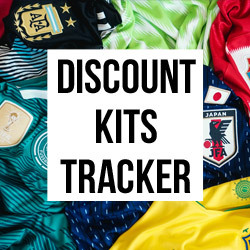 In fact, there’s no reason you couldn’t get your hands on both this season, since FOOTY.COM compare prices to make sure you make a great saving on all kinds of football kits! 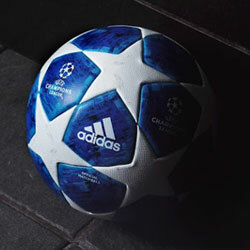 Shop with us today to find yourself a real bargain, and prepare for your next trip to the Nou Camp!